Archana Horsting, the executive director and co-founder of Kala Art Institute in Berkeley, will be honored with the prestigious Benjamin Ide Wheeler Medal, also known as the “Most Useful Citizen award,” this Thursday. 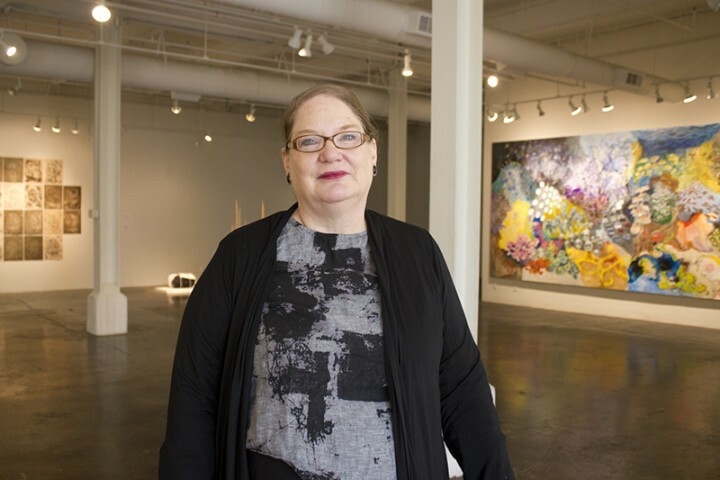 The prolific artist has been providing the East Bay with arts education and studio spaces for more than 40 years. Horsting and fellow artist Yuzo Nakano founded Kala in 1974 with hopes that it would become a collaborative workspace and a forum for ideas. The institute was small in its early stages, with a space not much bigger than a garage gallery, Horsting recalled in an interview. But those humble beginnings led to something massive: Kala Art Institute (060 Heinz Ave, Berkeley) as it exists today is a 15,200-square-foot community workspace, education center, and gallery (2990 San Pablo Ave, Berkeley) that welcomes approximately 25,000 people through its doors each year. The Institute offers a full breadth of classes for students and professionals interested in art, with a diverse catalogue of lessons that includes etching, letterpress, screenprinting, book binding and computer classes. Horsting is particularly excited for Kala's next exhibit – aptly titled Voices (opening October 22) – that will carry the same ethos. It will showcase the human as a musical instrument and explores voice as a way to convey complex emotions, from laughter, to tears, to screams. Horsting will receive the Benjamin Ide Wheeler Award at the Berkeley Community Fund’s annual dinner on October 8 at HS Lordships Restaurant in Berkeley. For ticket information, call 510-542-2126. CultureStrike, Mujeres Unidas y Activas, and Betti Ono Gallery are behind the mural installation event.